Lanie Price, a 1920s Harlem society columnist, witnesses the brutal nightclub kidnapping of the “Black Orchid,” a sultry, seductive singer with a mysterious past. When hours pass without word from the kidnapper, puzzlement grows as to his motive. Then a gruesome package arrives at Price’s doorstep, and the questions change. Just what does this kidnapper want—and how many people is he willing to kill in order to get it? Evil hides behind the genteel façades of affluent Strivers’ Row and stalks the ballroom of one of Harlem’s most famous gay parties. 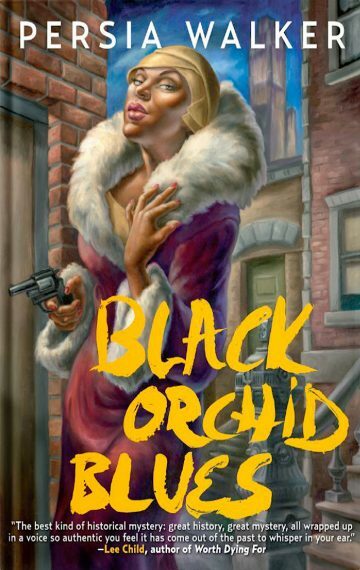 In a complex plot that keeps you tied to the page, Black Orchid Blues explores the depths of human depravity and the desperation of its victims.